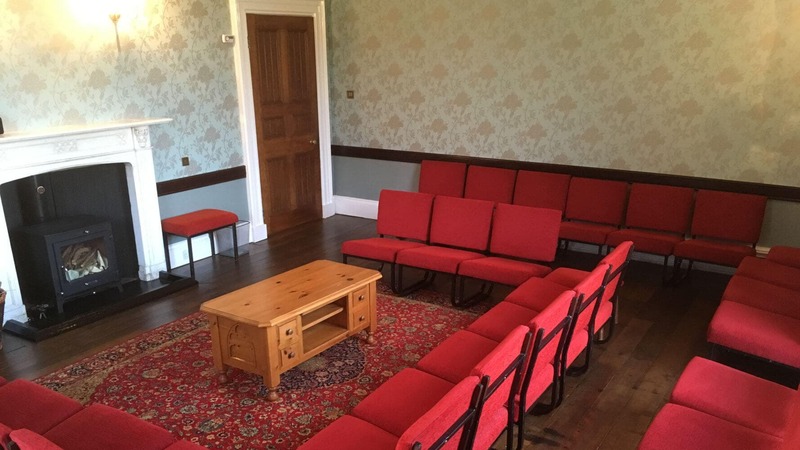 Accommodation is available for groups of 20 to 53 people. 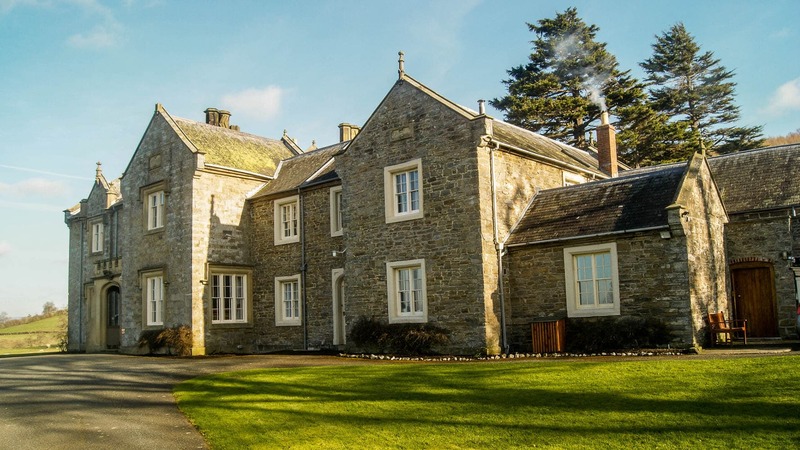 This multi purpose holiday centre is located in the beautiful countryside on the Welsh border. 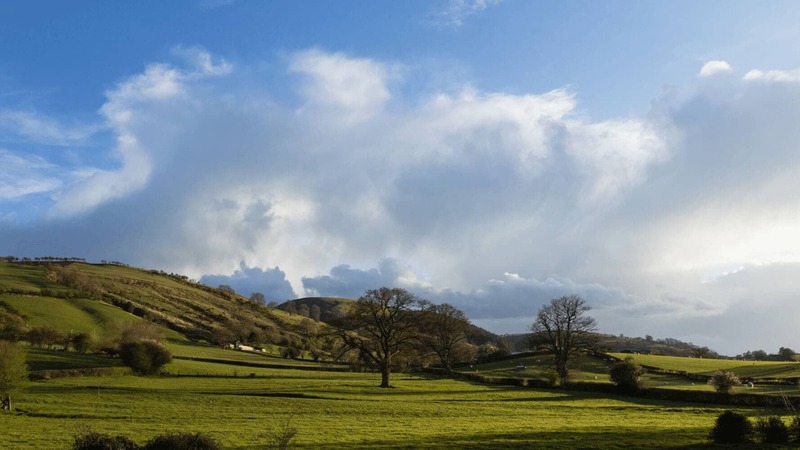 Nestled in idyllic surroundings, it is conveniently placed within two hours of most of Wales, Manchester, Liverpool and Birmingham. We have hosted many groups from all over the UK and the USA. 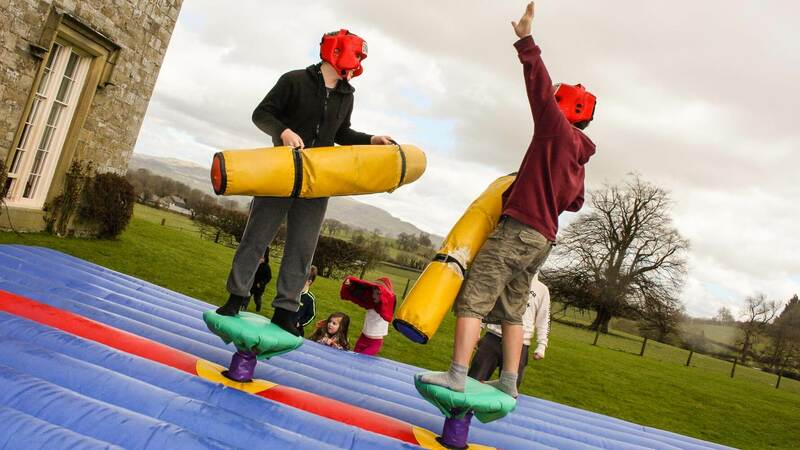 Moreover, we have hosted weddings, conferences, retreats and family group breaks. Groups get exclusive use of the facilities with on site assistance from the Rees family which makes us a great choice for a group getaway. 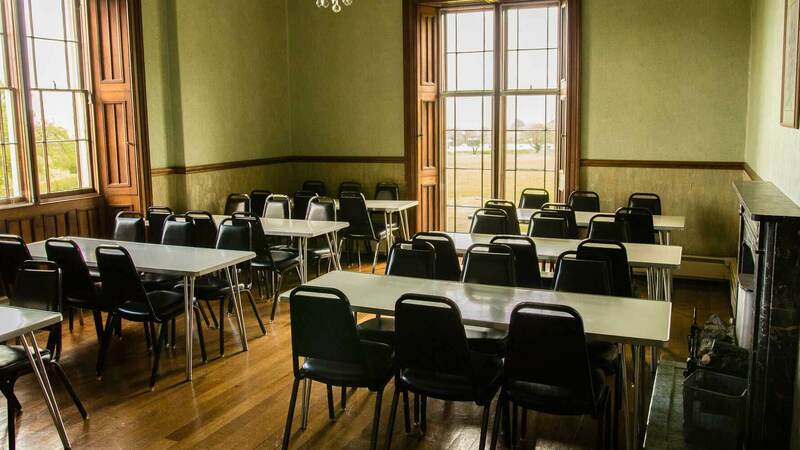 We can also host your training course from midweek, to a month or even three months duration. Very competitive prices are available for longer stays. 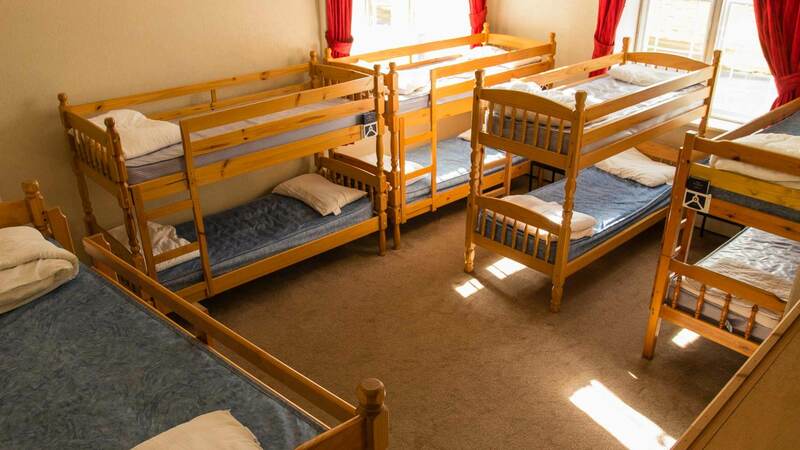 We offer dormitory style accommodation in a unique setting with most rooms being en-suite. 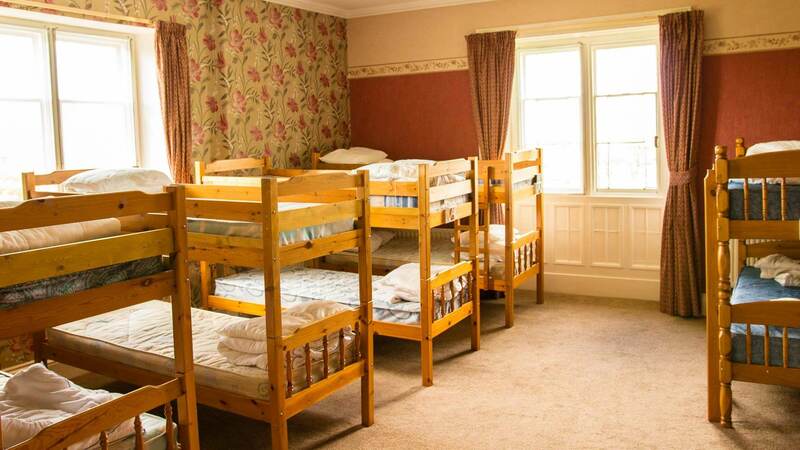 Pentrenant Hall has six dormitory style bedrooms, with beds for up to ten people per room. 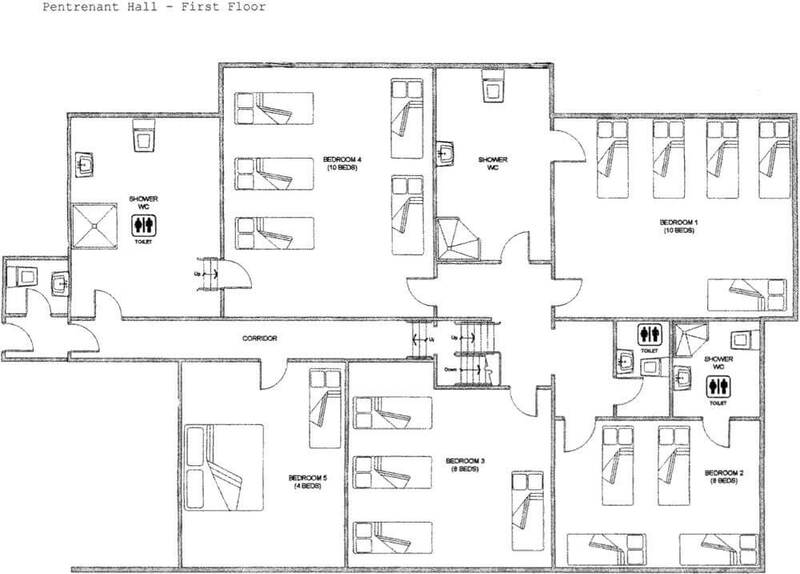 We also have a family room for leaders, consisting of a double bed and bunk bed. 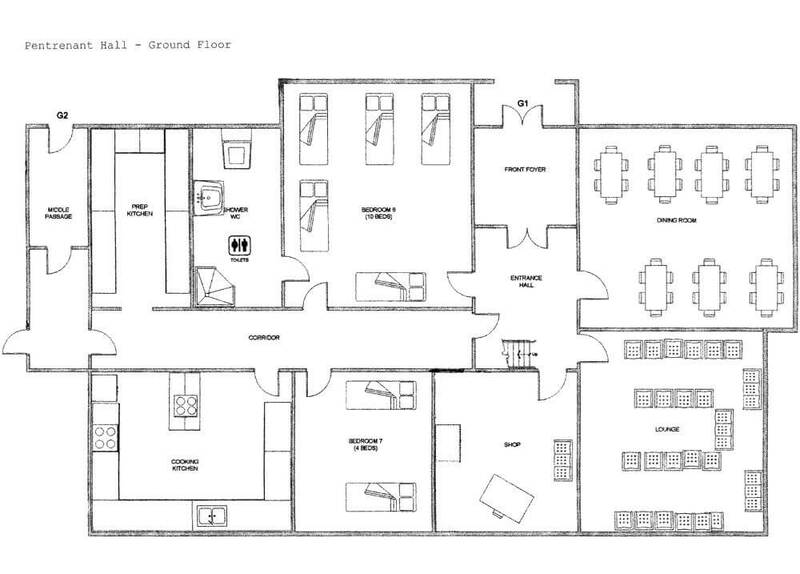 Most rooms are en suite with showering facilities. The attractive dining room has seating for up to fifty people and the lounge has a wood-burning stove for winter evenings. 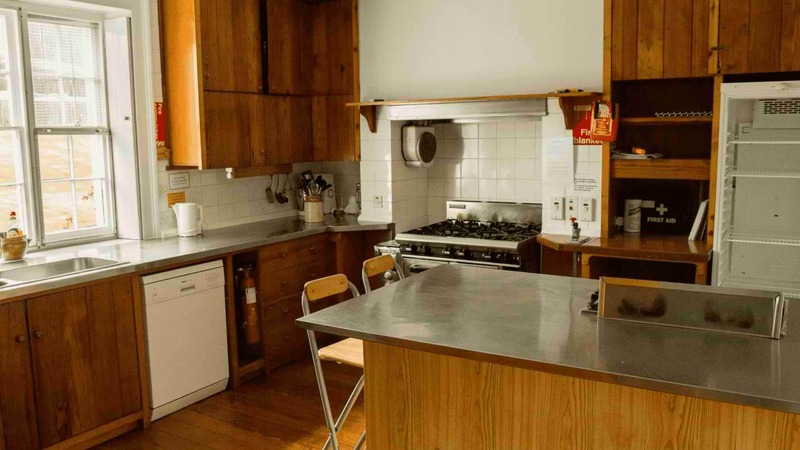 The kitchen has a large gas cooker, additional hob and double oven, Major food mixer, microwave, an instantaneous hot water boiler, large fridge, chest freezer and a rotary toaster. We also have as much cutlery, utensils, saucepans, china and crockery as you will need in a well-stocked kitchen. The second kitchen allows space for washing-up and features a two minute cycle glass/dishwasher. New in 2016 the tuck shop has been redeveloped into a small group room with TV, video and vending machine for essential snacks. * Catering exclusive prices per person. ** Subject to availability, at short notice or out of season only. "A wonderful weekend in your wonderful home. You looked after us all so well and the food was amazing. The Alpha team and guests went home buzzing and happy". "It was a true blessing to have spent the weekend with you all. Thank you for all you gave and did for us"
"The three days I spent at Pentrenant Hall changed my life in 2015"